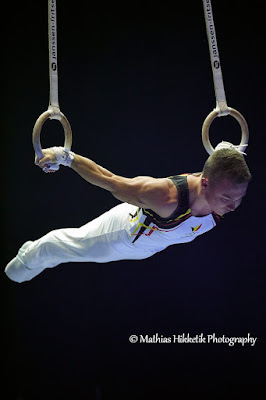 Belgian Gymnastics: Doha World Cup: 5th place for Dennis Goossens in the rings final ! 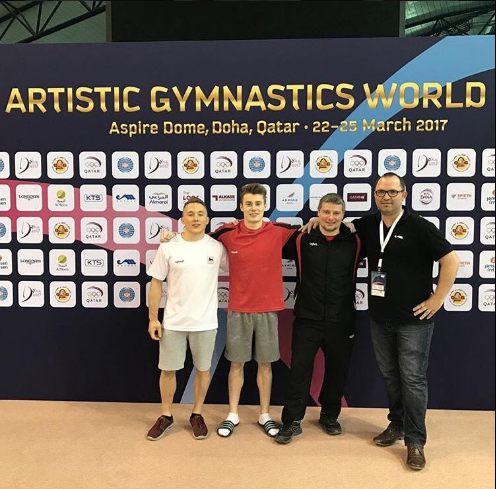 Doha World Cup: 5th place for Dennis Goossens in the rings final ! This week, Dennis Goossens and Maxime Gentges both competed at the Doha World Cup as a preparation for the upcoming European Championships. Dennis qualified for the rings final and placed 5th. After finals at the 2016 European Championships and the Olympic Games, Dennis Goossens once again qualified for a top final, this time at a World Cup. He qualified in 6th place, with a score of 14.633. This Friday, in a particularly tough final, including Ukraine's Igor Radivilov, Dennis managed to place 5th, with a score of 14.500 (6.1D score). Also competing in Doha was Maxime Gentges. The Belgian gymnast competed on 4 events in qualifications. On Wednesday, he placed 12th on pommel horse (12.300) and 18th on rings (12.133). 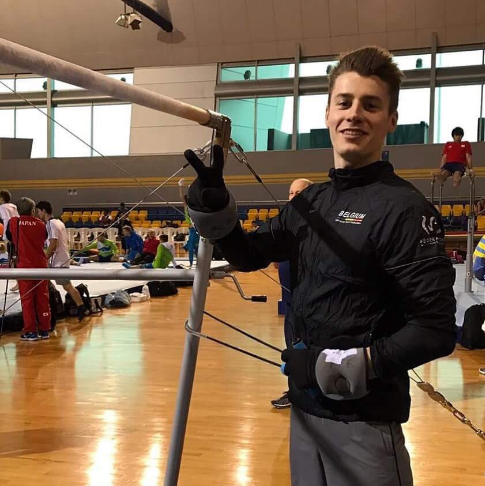 On Thursday, Maxime scored 13.600 to place 11th on parallel bars and 11.433 on horizontal bar (25th). Both Dennis Goossens and Maxime Gentges will travel to Cluj (Romania) next month to compete at the European Championships, along with Daan Kenis, Jimmy Verbaeys, Jonathan Vrolix and Kristof Schroé.